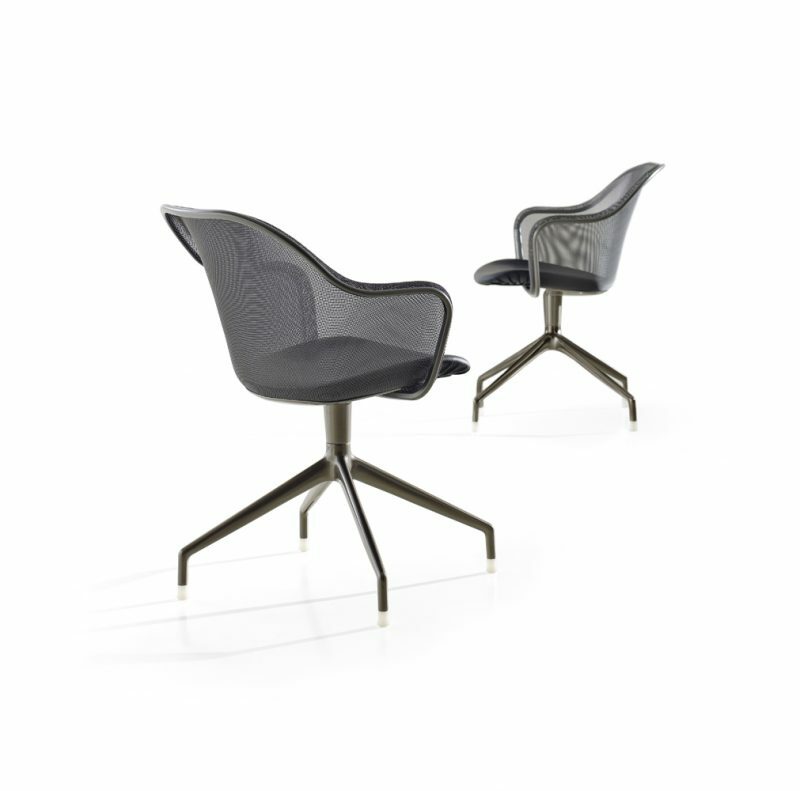 The Iuta Desk Chair from B&B Italia, designed by Antonio Citterio. It brings home the rigour of work spaces and stands out for the soft lines of the aluminium perimeter profile. The light steel mesh of the backrest and the light design of the spokes make it particularly pleasant addition to the domestic environment, as well as the home office. Available with a wide range of seat covers.